It has been an eventful year for the Elizabeth Craven Society. is still a performable play, whose comedy would amuse a modern audience, and whose feminist ideas come over very clearly. Elizabeth Craven's works are a lot more numerous than usually supposed. She never made a complete list of them in her Memoirs, which is a pity. Very few are mentioned in the DNB entry under her name. This is the most complete catalogue that I have so far been able to compile. 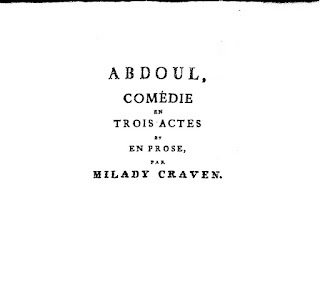 Abdoul, a comedy, printed in Nouveau Theatre de Societe d'Anspac et de Triesdorf, ed. Asimont, Volume 2, 1791. A Fashionable Day [by Giuseppe Parini, translated from the Italian with an introduction and commentary by E. Craven]. London: G. Kearsley and R. Faulder, 1780. An Arcadian Pastoral. 1782. MS in Bodleian Library. Epilogue was printed in Robert Dodsley, ed., The Annual Register, or a View of the history, politicks and literature of 1782, p.200. Also in The Hibernian Magazine, Or, Compendium of Entertaining Knowledge, 1782 p.271. When a Georgian woman got divorced, she was supposed to disappear into a twilight of disgrace and social disapproval. At the end of Mansfield Park, this happens to Maria Bertram, who elopes with Henry Crawford, is divorced by her husband Mr Rushworth, and ends up banished from England to live somewhere abroad "remote and private". But did she really have such a terrible fate? I sometimes imagine that Maria Rushworth had a whale of a time in Paris or Brussels, far away from Mansfield Park. The life of Henrietta, Lady Grosvenor, suggests that divorce was not always such a disaster. There was in fact a flourishing Alternative Society in Georgian England, within which such women lived with impunity and they were very much in the public eye. 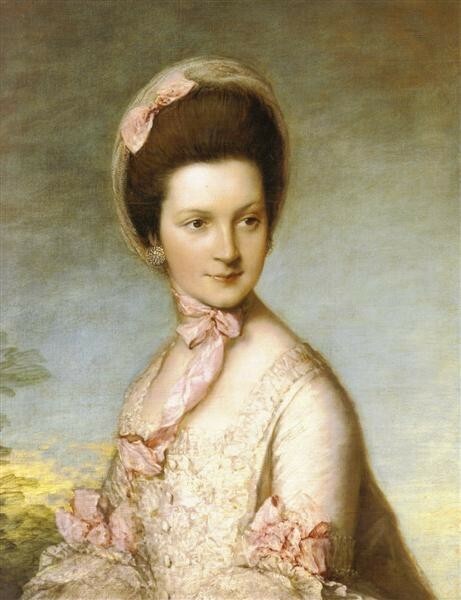 Miss Caroline Vernon c.1780 by François-Xavier Vispré from National Trust collection, Attingham Park, Shropshire, the home of her sister Anna. 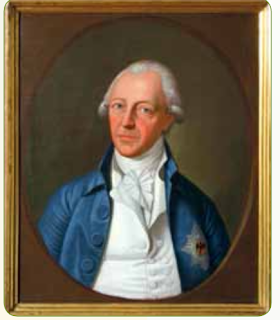 The Margrave of Ansbach, who became Elizabeth Craven's second husband, owned some palatial residences, far too palatial for him to live in them most of the time. He preferred to live more modestly. In the years before his abdication he used a former hunting lodge, The Red Castle, as his home. The palace at Ansbach, the capital of his little principality, survives and is well-preserved. It is now in Bavaria. This video gives a visual tour of its interiors, showing the fine collection of pictures and artworks. Can you spot the portrait of Elizabeth Craven that flashes into view for just a second or so? Copy the link into your browser address bar to watch the video. 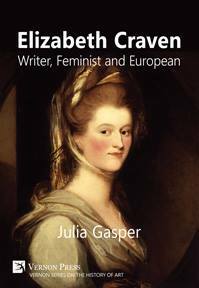 What possible connection could there be between Elizabeth Craven, the Georgian feminist writer, and the Marquis d'Argens, the French writer and philosopher? Craven was born in 1750, and d'Argens died in 1771, and as far as is known they never met. Both were writers, both went to Constantinople and both were considered to have misbehaved extensively in the course of their lives. Both loved the theatre, and and both spent part of their lives in a German court, running the theatrical entertainments. 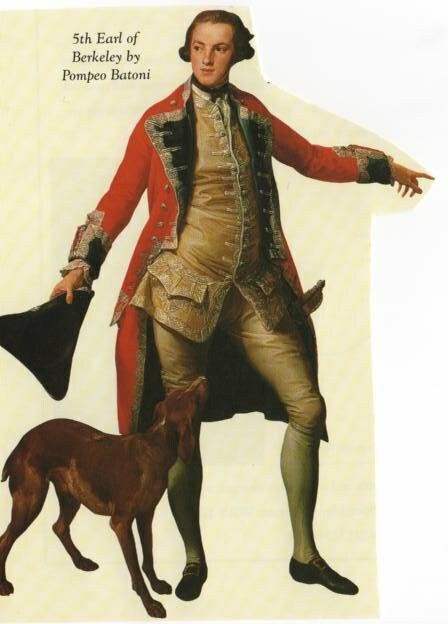 D'Argens worked for many years for King Frederick the Great of Prussia, holding the post of Chamberlain which made him responsible for court entertainments such as theatre and opera. 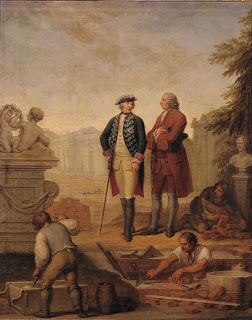 He was expected to organize troupes of professional actors, singers and dancers to put on productions in King Frederick's rather grand opera houses and palaces of Sans-Souci and Charlottenburg. In 1782 Elizabeth Craven and the brilliant but wayward young writer William Beckford collaborated on a musical entertainment called An Arcadian Pastoral. It was performed in London by a choir of children, with professional musicians taking the solos and providing orchestral accompaniment. 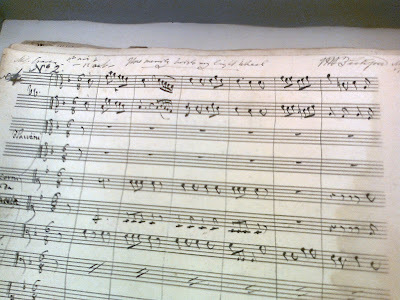 The score was preserved among Beckford's papers, and catalogued by the Bodleian Library under his name, without reference to Elizabeth Craven. In a letter of 1782, Beckford wrote that she had written the words and he had composed the music. When we look closely at the score, it actually says that Elizabeth Craven wrote the music too, for the second of its five Acts. This is not the only example of her writing music, though little of it survives.